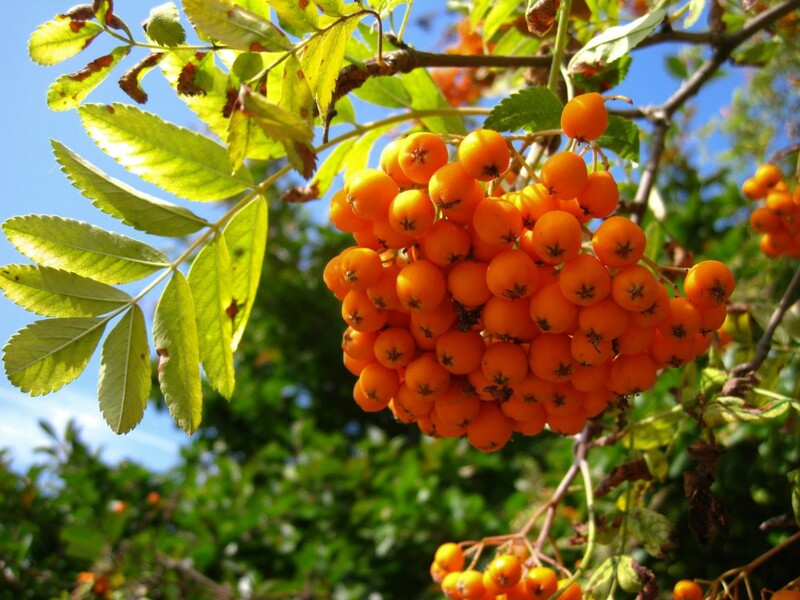 As we move into October, we’ll be expecting more autumnal weather. 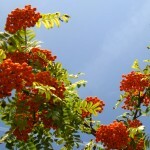 While temperatures have remained warm, you can certainly feel the days getting shorter and nights beginning to draw in. 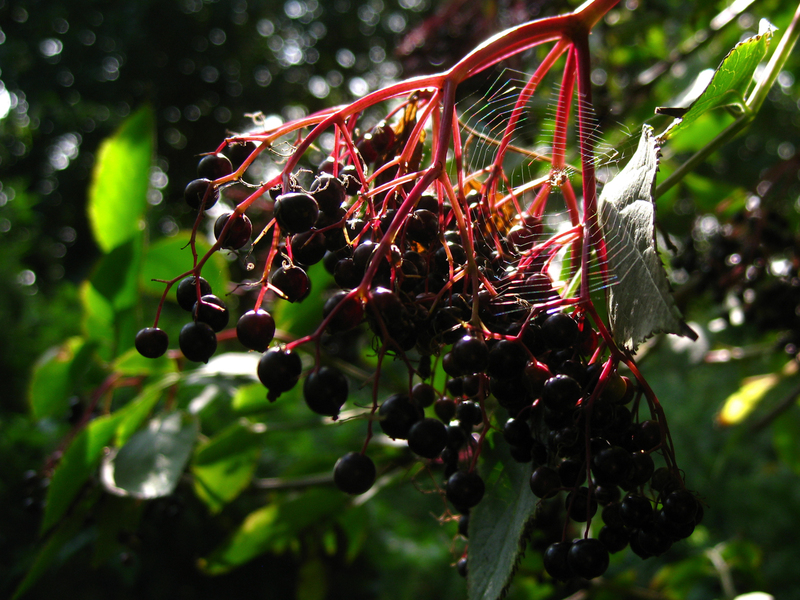 Fruit and fungi should be the stars this October. Fruits are already abundant across the farm and we’ve already spotted shaggy inkcap mushrooms emerging. Elderberries are among the many fruits ripening this month. 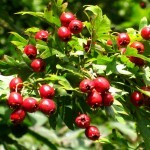 The combination of a wet winter and hot summer have made this an excellent year for fruit. 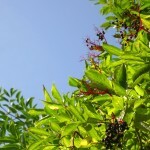 Last month saw the peak of the blackberries, but fruit continue to ripen this month. 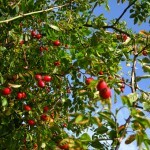 All across the farm, you can find trees and shrubs heavy with crabapples, rosehips and berries of all varieties and our local wildlife and enjoying the bounty. 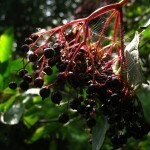 As you walk around the farm, you’ll hear the clatter of wood pigeons and will spot monk parakeets, blackbirds and starlings eagerly feasting on treetop delicacies like elderberries, dogwood berries and crabapples. 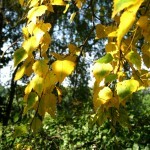 Poplar is among the first trees taking on autumnal colour. 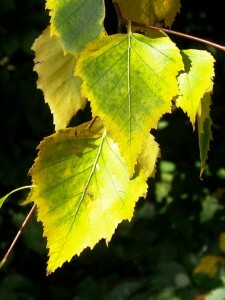 We are also beginning to see the first of autumnal colour and the first leaves have begun to drop. The leaves of lime and elder trees across the farm are beginning to take on a bright yellow hue and will be followed by sycamore, maple, ash, and hornbeam. Most of the migratory birds which spend the summer here have already left. As the leaves fall, we’ll the last of the migrants which pass through the UK on their return south to the Mediterranean and Africa following a summer breeding further north in Europe. During the month, we’ll also start seeing the first winter visitors from Scandinavia, such as redwings and fieldfares. 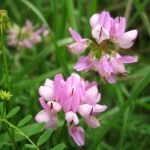 With this post, we have completed an entire year of Wildlife to Watch posts. We’ll keep you up to date on what we’re seeing around Mudchute, but may vary the format of our wildlife posts, so watch this space for updates. We hope you’ve enjoyed exploring Mudchute through the season with us! 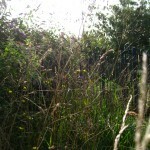 Grassy areas continue to buzz with chirps of crickets and grasshoppers. 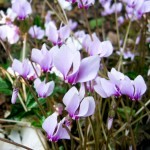 Cyclamen growing among the coppiced woodland. 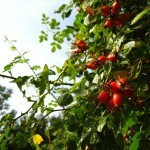 Rosehips are taking on bright red hues as they ripen. 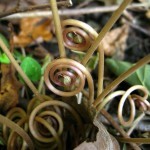 Coiled flower stems of cyclamen. 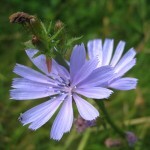 A few chickory flowers continue to bloom. 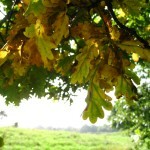 Oak leaves beginning to change their color. 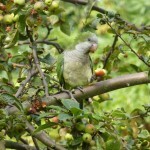 A monk parakeet feeding on crabapples. 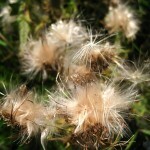 These seed heads are a favourite food of goldfinches. 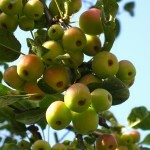 Crabapple trees are filled with fruit across the farm. 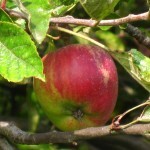 Apples can also be found across the farm. 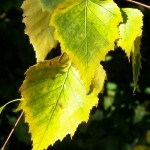 Poplar leaves beginning to take on autumnal hues. 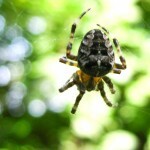 Orb weaver spiders are increasingly prominent this month. 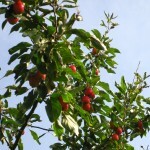 Ripening crabapples are among this month’s many fruits. 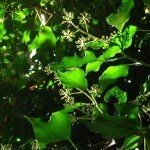 Ivy is in flower this month, attracting bees, hoverflies and other pollinators.